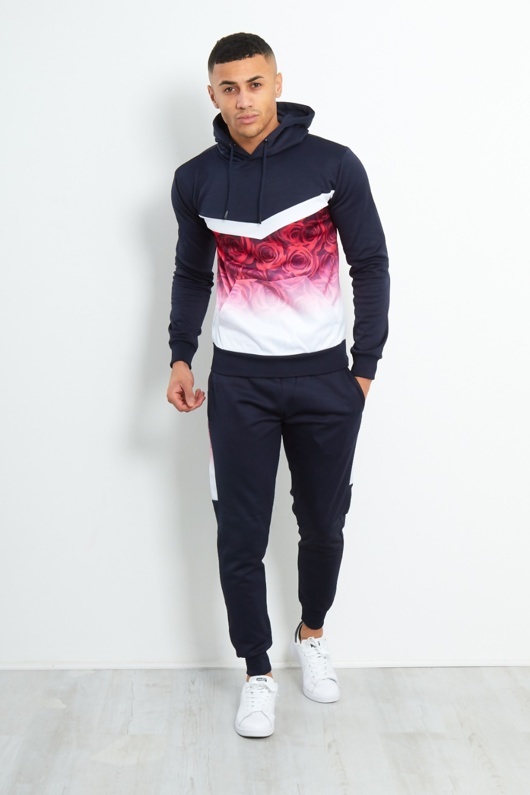 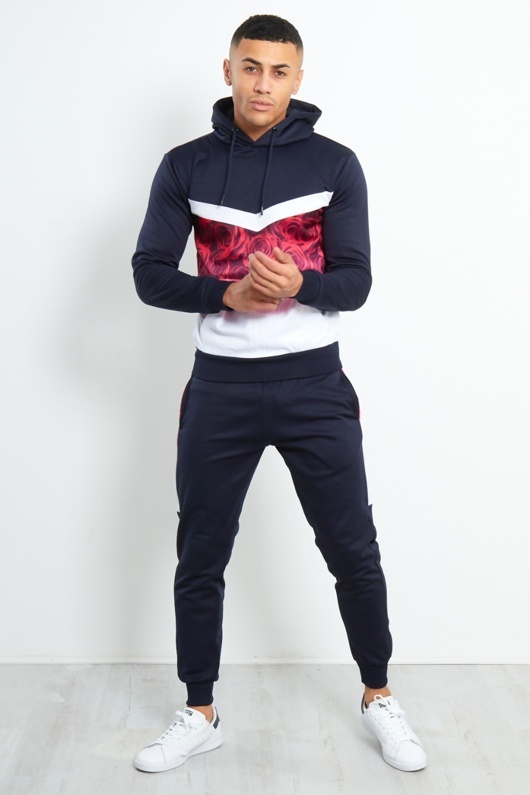 stay on track and up your loungewear game with this tracksuit. 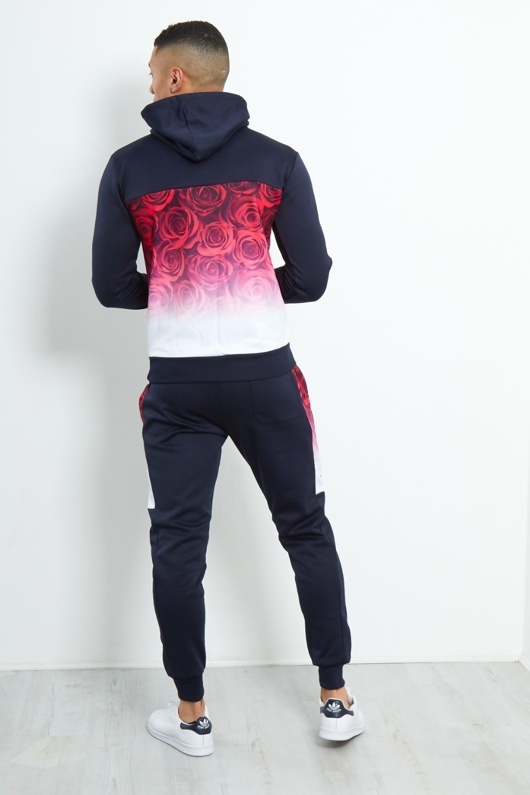 coming in a navy hue with rose print, this tracksuit is a chiller. 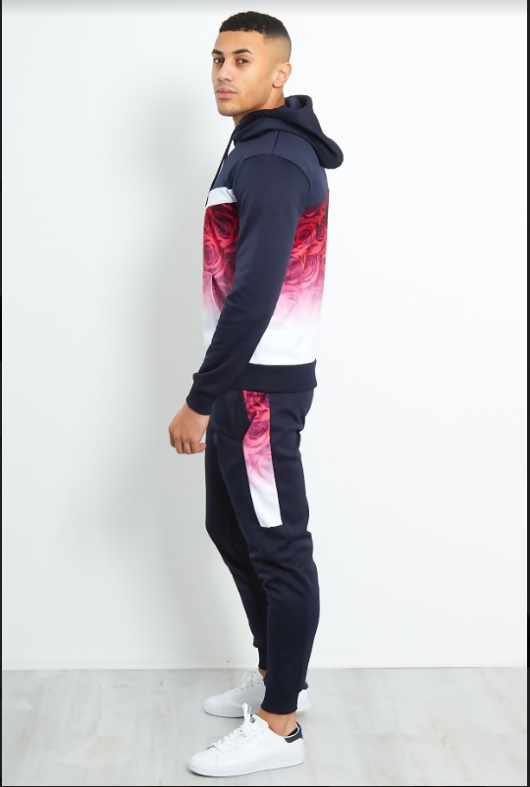 team with a black bubble coat.